The author of The Fortunate Brother answers eight questions submitted by eight other authors. The Fortunate Brother, Donna Morrissey's latest novel, follows the perennially unfortunate Now family. Still reeling from a family tragedy, the Nows find themselves embroiled in the murder of a local man. Morrissey is the award-winning author of books like Kit's Law and successfully defended Rockbound by Frank Parker Day on Canada Reads in 2005. 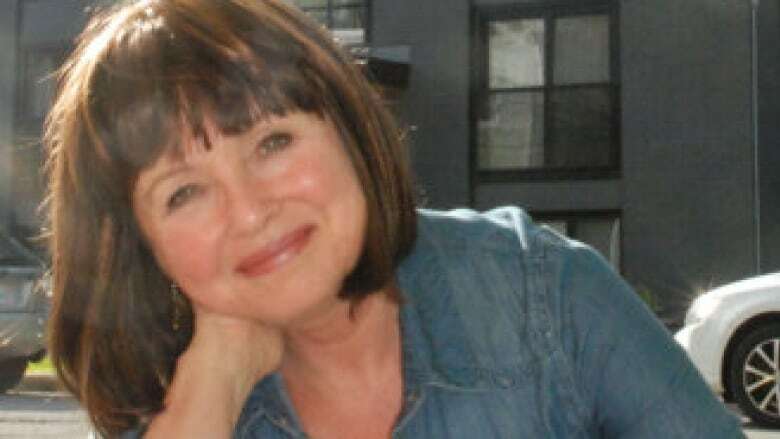 Below, Donna Morrissey answers eight questions submitted by eight of her fellow writers in the CBC Books Magic 8 Q&A. 1. Emma Donoghue asks, "What quality or tic in your writing, or flaw or dearth in your works as a whole, makes you blush?" 2. Lynn Coady asks, "Why do you write fiction? That is, why is it your chosen genre? What is it about the genre that you think makes it distinctive and/or important, vital?" Fiction is something I fell into that helped defined me during a terrible time in my life when I felt lost and without direction. It's my mainstay. It continues to help me define who I am and my family and the mythology of our lives together. My family continue to support my telling our story through my writing. It helps us with the losses that we've suffered through, and the love of Spirit that continues to endure within us. 3. Sharon Butala asks, "What do you think of the age-old notion that the best writing comes out of a life led outside the bourgeoisie, where so-called 'rules' of normal middle-class life are deliberately broken and impulse is your guide, rather than duty or convention?" Whether from duty or convention or intuition — whatever one's values or circumstance — a good yarn can come from anywhere providing one has the skills and creativity to tell it convincingly with all of its truths and failings. Who would argue with Jane Austen? 4. Lorna Crozier asks, "How did growing up with siblings (or without) affect your writing or your desire to be a writer?" It certainly didn't affect my desire to be a writer, but now that I've started, my life with my family is what fuels my stories. If I had been a single child, I've no doubt that none of the books I've written thus far would be the stories that they are. 5. Gail Anderson-Dargatz asks, "Most people think of writers as loners, working away by themselves in their bathrobes and bunny slippers. But many of us collaborate in some way with others. How about you? Do you interview, brainstorm or write with others? Do you incorporate the work of others (photos, drawings) in your text? How does that change your writing?" 6. Louise Penny asks, "What advice to you give emerging authors?" 7. Pasha Malla asks, "Which would be preferable: a life of relative contentment and comfort, and having your books die alongside you, or being miserable and destitute, and having your books read long after you are dead?" 8. Drew Hayden Taylor asks, "Do you think you or your books would have been successful, say... fifty or a hundred years ago? Or has the style of writing changed too much in the passing decades?"